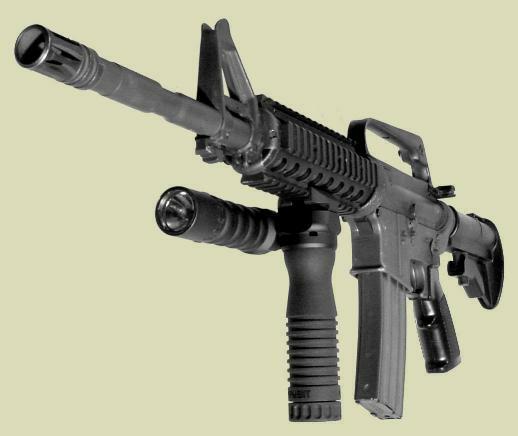 The Rail Grip attaches to any MIL-SPEC 1913 (Picatinny style) rail. It has a locking ratchet system that clamps down anywhere onto the rail rib. There is no need to slide and position. Simply put the Rail Grip clamp where you want it and turn the handle until it tightens down and locks on the rib. Unlocking is at the push of a button. 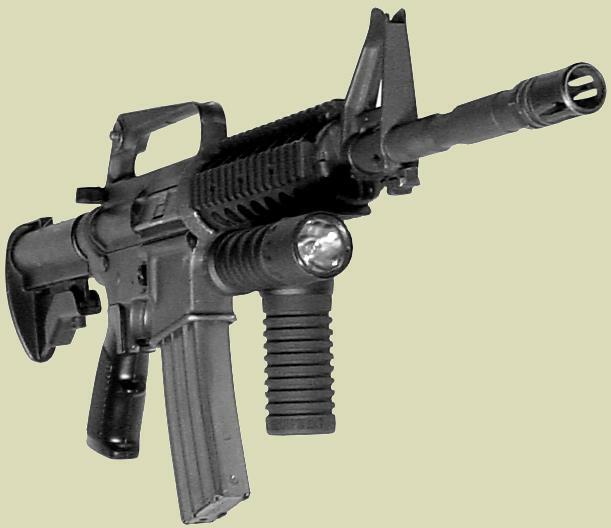 The clamp assembly can be used to modify the M203grip into a Rail Grip. The Rail Grip Product Line is solely manufactured by RM® Equipment, Inc. The Rail Grip Product Line is made in the USA.